Quick Thoughts: COMMUNITY, "Remedial Chaos Theory"
I've spent a lot of time complaining about the bad episodes of Community, so I figured it would only be fair to praise the show when it does something well. "Remedial Chaos Theory" was not only the best episode of the young third season, but it was one of the best episodes of the series, which surprised me since it still relied on the strained group dynamics. It seems like every episode of Community has to shine a light on the fact that this study group is dysfunctional, how they're on the verge of breaking up, and how they'll always kiss and make up. Watching theses seven characters interact within in this structure can be entertaining, but it can also become repetitive and tedious. An episode like "Competitive Ecology" fell in the latter category, whereas "Remedial Chaos Theory" excelled. 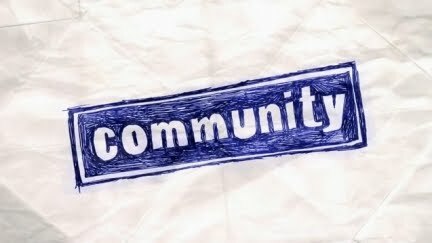 The multiple time line gimmick could have easily derailed the episode since it was too conceptual which can be Community's strength and weakness. You have to admire the show for taking risks, but every once in a while they want every one to know how risky they really are which can make the show feel fake. As a plot device, the multi-verse idea was successful because it wasn't weird for the sake of weird, rather it was a fresh way for us to see how these characters relate to one another. Plot wise, it was the same story over and over, but it was the differences that made up the bulk of the episode. Each time line had its share of standout moments, but the whole picture that was painted by every vignette was what made "Chaos Theory" special. After watching the episode, the message was clear to me: Jeff's presence in the group can be detrimental while Troy's keeps everyone united. This may sound like a simplified interpretation of the episode, but I feel it holds weight. The writers have been laying the foundation for a major conflict to arise between Jeff and Troy for a while now, and "Chaos" may have been the spark that will lead to the final showdown. I just hope the show has the stones to go down this path because it could result in some gripping television. The struggle between Jeff and Troy was the strongest aspect, but it wasn't the only good one. I loved the fact that they addressed the chemistry and sexual tension that exists between Troy and Britta, and while I don't want their "relationship" to become a focus, it would be nice to see them together at some point. Also, the idea of Troy, Abed, and Annie living together has promise because the more the show can revolve around them the better. Recently, I've been thinking about how much gas Community has in the tank and what a hypothetical fourth season could look like. Since I agree with the A.V. Club's Todd VanDerWerff about it being similar to Glee, I'd be okay with this show facing the same transitional questions that the latter has to address. I could see myself being more on board with a season that has Troy, Abed, and Annie as the core cast with Jeff and Pierce moving to the background or out of the picture altogether. Creatively this move would be risky, but not having to pay Joel McHale and Chevy Chase could reduce the budget enough to keep it around for one more year. This is all speculation of course, but this is Community so outlandish ideas is par for the course. Regardless of what the future has in store for the Greendale gang, I was impressed with the last offering, and I hope that it was a sign of what's to come during the rest of Season 3.